The commercial real estate industry is evolving… are you? You will learn in a traditional classroom environment. You will interact and network with other professionals in a collaborative, small-group setting. An ideal way to learn and continue toward earning your CCIM Designation. St. Louis is very fortunate to have Jim Rosen, one of the top CCIM instructors located right here in St. Louis. Jim was selected as the CI 101 Senior Instructor of the year for 2002 and 2008, and received the People’s Choice Award (for the instructor with the highest student ratings) in 2004, 2005, and 2007. In addition, he was the Course Chairman for CI 103 in 2004 and is the 2005 Course Chairman for CI 101. 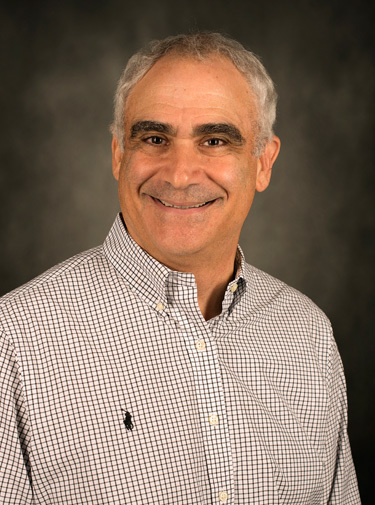 Jim has served as both the Assistant Dean and the Dean of the College of Financial Analysis of the ICSC University of Shopping Centers program held at the Wharton School of Business and continues participate as an instructor at this program. Jim has also facilitated an educational session for the national or regional conferences for NAI Global, Sperry Van Ness and the Industrial Asset Management Council, among others. Jim is a graduate of Westminster College in Fulton, Missouri and resides in Chesterfield, Missouri with his wife. The CCIM curriculum is designed to enhance your career and deepen your knowledge with the comprehensive educational resources available from the CCIM Institute. Gain valuable insight from a faculty of industry professionals with years of experience in commercial real estate. The cornerstone of the CCIM program, the designation curriculum is designed to equip practitioners with the skills they need to profit from the ever-changing commercial real estate industry. Most students will need to complete these courses to earn the CCIM designation. Taught by established commercial real estate practitioners who emphasize practical application, the designation curriculum courses are the foundation of the CCIM program. Upon completion, you will have a core knowledge base relevant across the entire commercial real estate industry, regardless of specialization. These courses comprise the education component of the CCIM designation requirements. This course is a prerequisite for CI 102 – CI 104 and will provide you with a foundation of practical financial analysis skills you need to succeed in the following courses and in the field. Eight hours of training on the CCIM Interest-Based Negotiations Model is required before going on to CI 103 and CI 104. This requirement can be completed through the online Preparing to Negotiate course, the one-day classroom course Commercial Real Estate Negotiations, or the two-day classroom Advanced Negotiation Workshop. Utilize market and financial analysis skills for user space decisions, and apply cost-of-occupancy models for ownership and leasing. This free training covers the CCIM Code and Standards of Practice of the CCIM Institute. Note, if you are a paid CCIM National Member this does not include your paid membership in the St Louis CCIM chapter. Membership dues in both CCIM National and CCIM St. Louis Chapter are separate fees. The pricing indicated here for the classes represent membership in CCIM National to receive the National Member discount price. Class Schedule: 8:30 a.m. - 5:00 p.m.
CI 102 is one of CCIM’s most innovative core courses, which shows you how to deploy “big data” and the most advanced digital tools to assess critical issues like market demand, location facility, and supply-chain strategy. CI 102 students have learned BAO mapping and data analytics to help their clients select store locations; others used Tapestry Segmentation to determine demand for apartment properties. In CI 102 you’ll work with four case studies covering each of the major property types: office, industrial, multifamily, and retail.